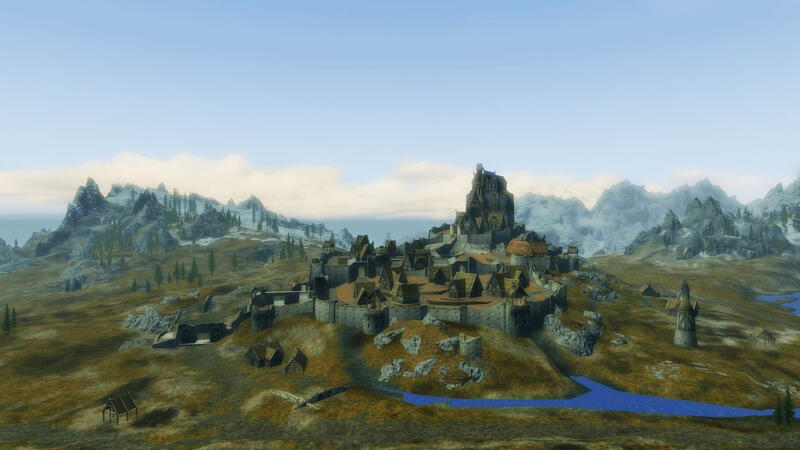 After J’Zhirr defeated the Draugr Overlord and returned the decoration to Lucan Valerius, J’Zhirr left Riverwood. J’Zhirr is now on the way to Whiterun. Hadvar’s uncle is worried about dragons attacking Riverwood. He asked J’Zhirr to travel to Whiterun to inform Jarl Balgruuf the Greater. J’Zhirr has no destination in mind so one place is as good as the other. Before J’Zhirr leaves, Hadvar suggests J’Zhirr join the Imperial Legion. J’Zhirr does not reply as he has no wish to be tied down. Being in the army, be it Imperial Legion or Stormcloaks, sounds restrictive and very much not in this one’s nature.